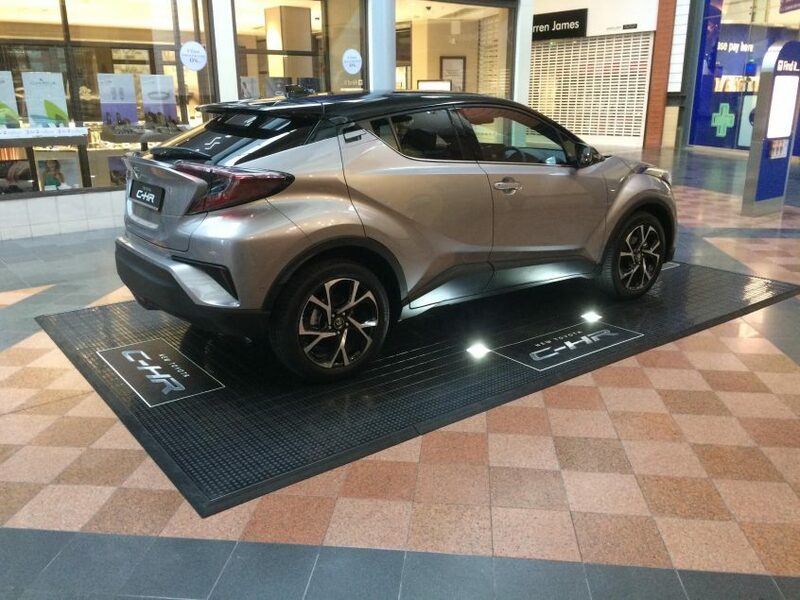 We were approached by EMO Unlimited to supply flooring to help display the new C-HR which was being launched by Toyota. We specified a recycled black studded floor because the studs take the wear and tear from footfall, leaving the gloss base nice and shiny – plus we added LED uplighters at the edges of the car and inlaid some printed logos, which was printed directly to our flooring. At some stores the power for the lights came back from floor socket and in others we connected them to a scooter battery hidden under the car. All of the kit went into two small wheeled transport cases which fitted into the back of the car.